Most builders would like a reputation that is as solid as the homes they build. 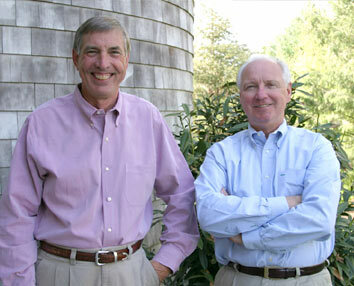 Chip Vaughan and Bill Sautter are builders who have achieved just that. Ask any Vaughan & Sautter customer about their homebuilding experience and their answers are remarkably similar. Words like honest and reliable are always mentioned. There is also a consensus about responsiveness and craftsmanship. All agree that Chip and Bill's helpful, straightforward way of doing business creates confidence - and their friendly manner puts clients at ease. Each customer becomes aware that maintaining a good reputation is as important to Chip Vaughan and Bill Sautter as building a good house - and they know that both of those goals are interdependent.